Historians say the Union assault at Burnside's Bridge in September 1862, helped force the cessation of the Confederate Army's marauding ways far beyond Maryland, hastening the Civil War to its conclusion. 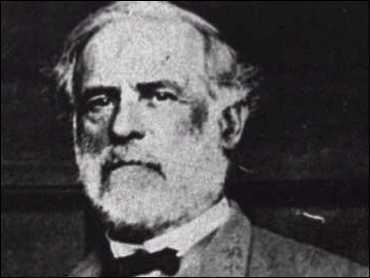 Now a Maryland millionaire who is a distant relative of Robert E. Lee is planning the construction of three huge statues to Confederate war heroes on the site of one of the North's costliest victories. William Chaney, 54, bought 101 acres of the Antietam battlefield in Western Maryland in March from a farmer, outbidding the National Park Service. With the land, Chaney plans to build statues of Lee, Thomas J. "Stonewall" Jackson and J.E.B. Stuart at a total cost of about $1 million, The Washington Post reported on Sunday. Despite a moratorium on monuments at the 3,245-acre site, the National Park Service concluded it did not have the authority to deny Chaney permission. Antietam Battlefield Superintendent J.W. Howard said the memorials were an "unusual development" in a place that has changed little over the last 100 years. "The monuments we have there now were placed there by the veterans, paid for by the units that fought here. But this is his land, and he is entitled to proceed," Howard said. Howard acknowledged that the Park Service wanted the farm. But the agency was hamstrung by bidding restrictions and could offer the farm's owner only the appraised value. O. James Lighthizer, the former Maryland transportation secretary and Anne Arundel County executive who is president of the Civil War Preservation Trust, defended Chaney in that dispute and supports him now. "If Billy doesn't build those three statues, nobody builds them," Lighthizer said. "He's doing exactly what we want to see done with battlefield land, which is preserving it. If he wants to include a tribute there, I say more power to him." A private man with a penchant for the audacious, Chaney grew up in the town of Lothian, a stretch of rolling tobacco fields 10 miles from the Chesapeake Bay where his ancestors settled in the 18th century. He inherited much of his wealth from his father, who built a rock and gravel pit into one of Anne Arundel County's busiest concrete operations. After a short time in the family business, he soured on the work and instead began investing in such ventures as the Annapolis Federal Savings Bank and the small Annapolis firm Clark Melvin Brokerage. His success has allowed him the occasional indulgences of wealth. At one point, when the church where he worshiped began shifting toward more liberal teachings, he walked out. Within a few months, he restored a small vacant chapel near his house, hired a minister and opened a "more traditional" Anglican church. His chief indulgence, though, has been his interest in the Civil War. In 1996, Chaney published his own book about Lee based on letters the general wrote to his "Maryland cousin," the Carter family, a branch of Lee's family tree that Chaney says extends to him. The memorial is a project Chaney says he will undertake quietly, in hopes of avoiding the kind of stir that greeted commemorations of Lee and Jackson in Richmond this year and that fueled protests in Anne Arundel County this summer.